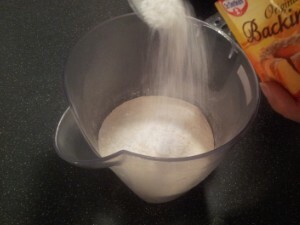 Add a table spoon of baking powder. 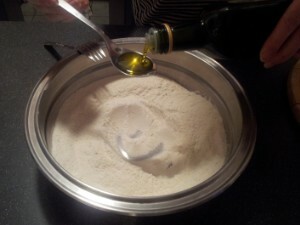 Add 4 table spoons of olive oil. 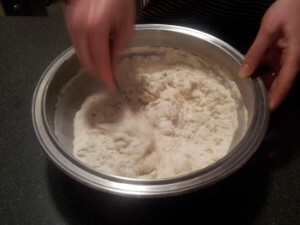 Don't get confused with the new bowl I'm using so I will be able to knead the dough. 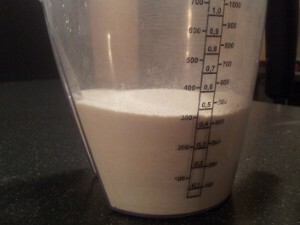 Add 75 ml of warm water. 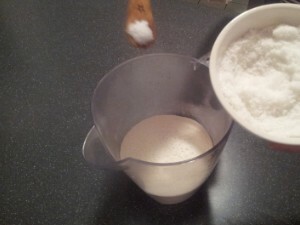 At first I suggest you to use the fork and start stirring the mixture. 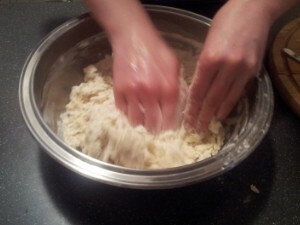 Then use your hands and start kneading. At this point you can also add a bit of herbs and spices such as rosemary, powdered or fine chopped garlic, Indian spices, thyme pretty much anything you like (don't over do it though). 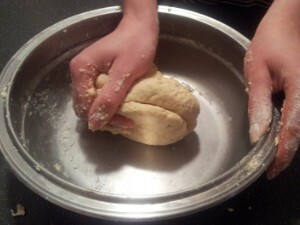 Knead until you get a nice compact but still a bit soft lump of dough. 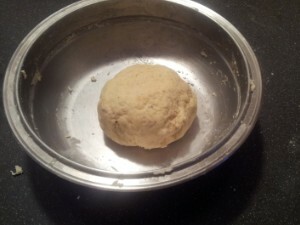 If needed add a bit of warm water or flour and knead some more until you get the right dough consistency. 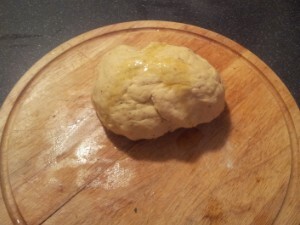 This is what you should end up with after some proper kneading. 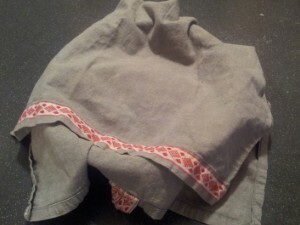 Cover the dough with a cloth and let it rest for about 10 minutes. 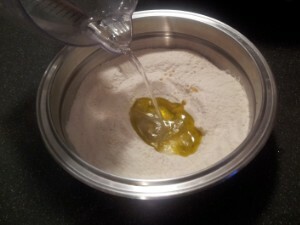 Pour a teaspoon of olive oil over the dough and spread it allover. 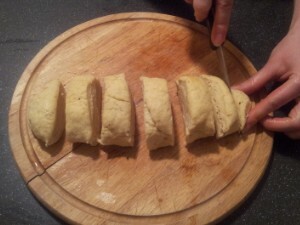 Use a knife to divide the dough into equal pieces. 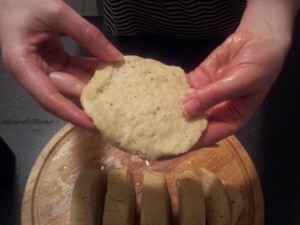 Now use your hands to form flatbreads. 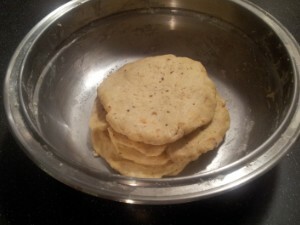 Use all of your dough pieces to form the flatbreads. 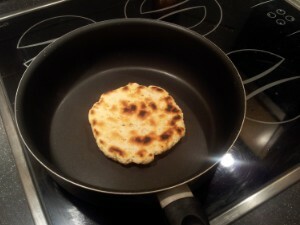 Set the cooking plate temperature to about 8/10 and put the flatbread into the frying pan. You don't need to add any extra oil into the pan. 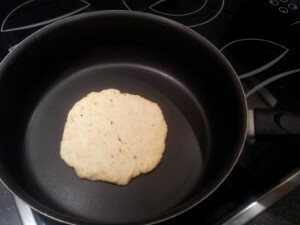 ... then turn it over to the other side and cook for a couple of minutes. 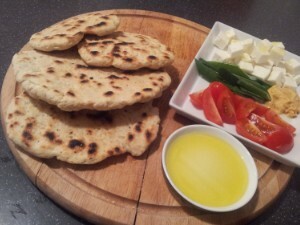 Enjoy your very own homemade bread the way you like it the most, be it with a saucy piece of meat or tasty fresh vegies, nice young cheese and a bit of olive oil to dip it in.